Join our Legacy Leadership Team! 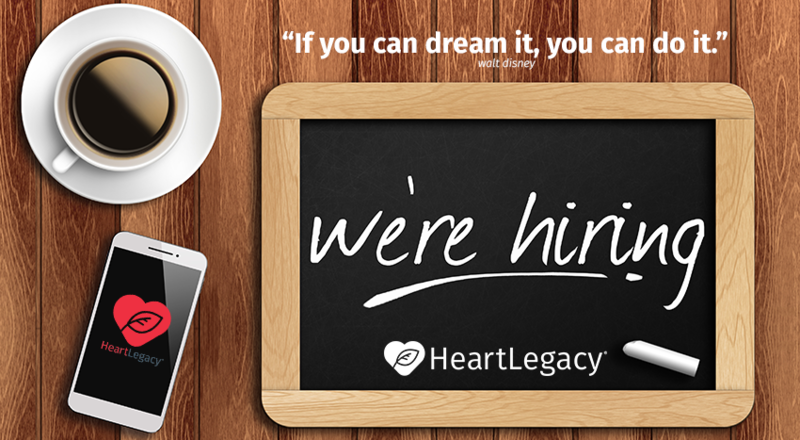 HeartLegacy, the nation’s leading company in technology for video engagement in Senior Care, is looking for a highly-motivated team player to join our software engineering team. Candidates must be eager to develop new technologies and solutions in a fast-paced environment.